Ideally located close to Sydneys International and Domestic Airports, a great location for the domestic traveller on a flight stopover or the leisure traveller looking for a central location. 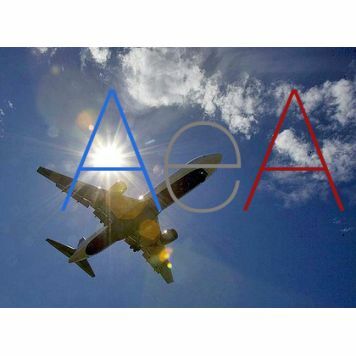 A short distance from the Sydney domestic and international airport - Facilities include 24 hour reception, dry cleaning service, laundrette, laundry service, disabled facilities, non smoking hotel, parking fee, in house movies, daily maid service, Located Mascot Sydney Sydney New South Wales. Relax at the Holiday Inn Sydney Airport hotel, with easy access to Sydney International Airport terminals and Sydney city centre. Make your trip a breeze by staying at the convenient Holiday Inn Sydney Airport hotel. Sydney Airport's terminals are minutes away via our 24-hour shuttle service and attractions in Sydney city centre are a 15-minute train ride from nearby Mascot rail station. You can leave your car in our secure car park with our Park, Stay and Go Package, and check into your relaxing, modern Guest room. 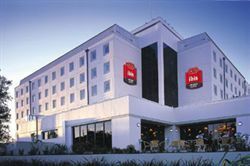 The Holiday Inn Sydney Airport hotel is a short walk from major international firms including TNT, DHL and Qantas. Schedule your seminars in one of our 4 meeting rooms, and make last-minute preparations with high-speed Internet and printing in the 24-hour Business Centre. Sydney's iconic sights are only a 15-minute train ride away, so you'll soon be taking photographs of Sydney Opera House or walking across the Harbour Bridge. Take a break from your journey to discover James Cook's historic landing place at Botany Bay, 3km from the hotel. Enjoy a hearty breakfast at Holiday Inn Sydney Airport before your early flight. Amelia's Restaurant offers modern Australian cuisine for dinner, and you can order cool beers at Biggles Bar. We also have a Fitness Centre and a plunge pool where you can wind down at the end of the day. Located just minutes from the international terminal and opposite the domestic terminal, this great Sydney hotel caters to a mix of business and leisure travellers. 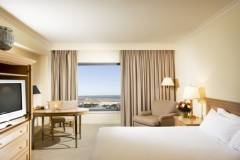 The hotel has spectacular views over Botany Bay, CBD and the airport. Unlike most airport hotels, Stamford Plaza Sydney Airport offers quiet surroundings with sound resistant glass windows.